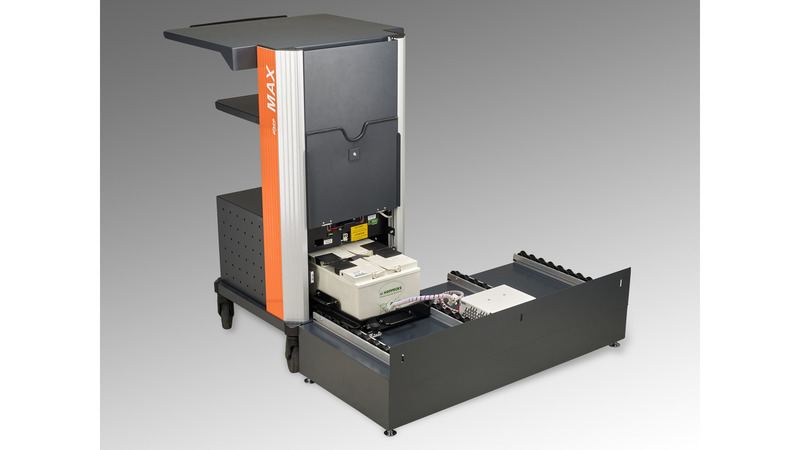 The MAX mobile workstation is ideally suited to flexible data collection and independent work in the warehouse environment including the incoming goods area, and during quality assurance or inventory-taking. Independently of the mains supply, the user can e. g. register incoming goods in the IT system directly at the point of delivery. 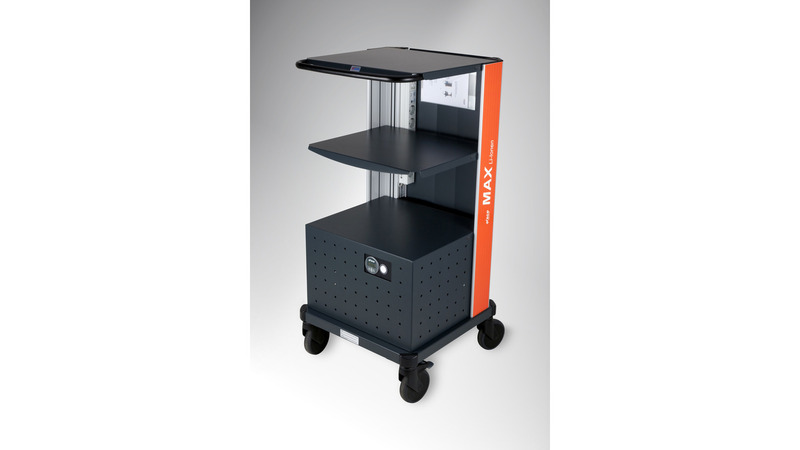 The advantages include much shorter paths, the ability to store goods faster and fewer stationary workplaces. Furthermore a freezer use version is available for temperature until -28 C.
The extremely robust design and flexible modular system ensure a process-optimized work station that is tailored to your specific requirements. 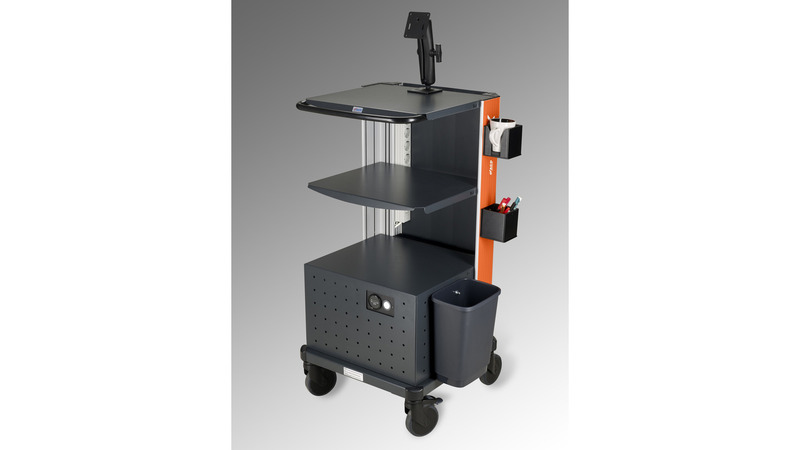 The standard (STD) version of the MAX mobile workstation features two maintenance-free 12 V/60 Ah gel batteries and 230 V/350 VA voltage transformer. This enables the operation of normal terminal devices such as PCs, terminals, screens, scanners and label or laser printers. 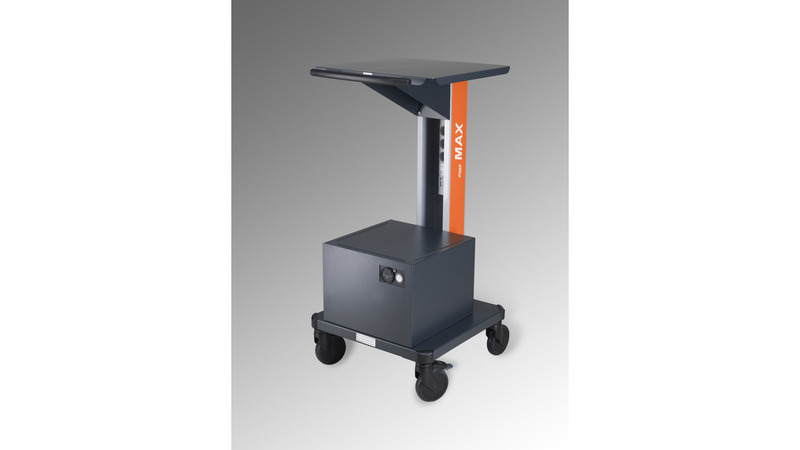 To achieve higher performance, the mobile workstation MAX is available with 800 VA or 1.200 VA. Furthermore versions with lithium-iron phosphate battery, entry one with 180 VA and one for freezer use are available .